Kos is a popular Greek island in the south Sporades group of the Dodecanese islands. The island measures 40 kilometres (25 miles) by 8 kilometres (5.0 miles), and is only 4 kilometres (2.5 mi) from the coast of Bodrum, Turkey. 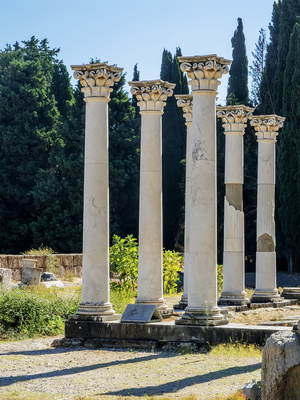 In the Roman mythology, the island was visited by Hercules however today holidays to Kos are a firm favorite with British holiday makers, especially those seeking value for money deals! Many Kos beach resorts offer a wide choice of water sports, beach bars and evening entertainment. Some of the most popular resorts include Kardamena, Kefalos, Lambi, Marmari, Mastihari, Tingaki and Kos Town. 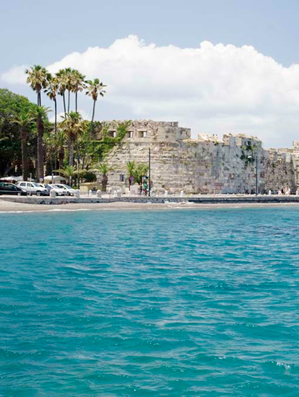 Holidays to Kos have plenty to offer the visitor, with great sites to see both geographical and man-made. There are every type of water-sports, horse riding, boat trips, golf courses, sea fishing and a multitude of activities to keep the most active of holiday makers happy. 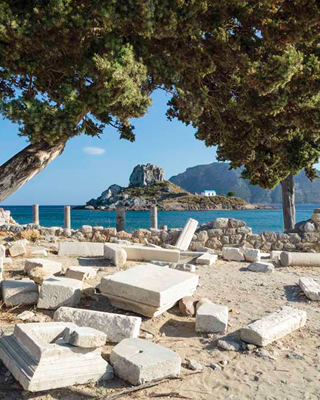 Kos's rich historical past provides endless opportunities to see architecture, visit museums, and ancient archeology. 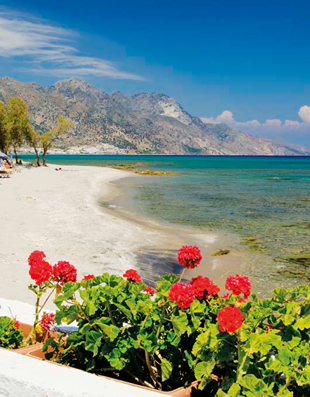 Our customers have recommended an island tour or car hire to see the amazing scenery that Kos has to offer. Not to be missed are a boat trip over to Bodrum Turkey a visit to the Asklepion ancient ruins just outside Kos town and a swim in the volcanic heated hot springs at Therma (Bubble) Beach!